We have reached the end of the giveaways! This last one is going to provide a lucky reader with ICE CREAM! That's right, Coconut Bliss, the company that makes the most delicious, creamy, amazing gluten-free and vegan ice cream (and right down the freeway from me, in Eugene, OR), has donated ice cream to a lucky reader. 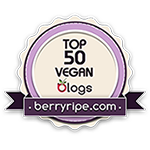 This is a special giveaway, as it marks the end of my 3rd vegan-anniversary-slash-blogiversary celebration, so I'm going to ask for a little more work from you all. 3. Follow me on Twitter (@greenvegnliving). 4. Post about this giveaway on your blog with a link back here. 5. Post a comment on THIS entry, telling me your favorite Coconut Bliss ice cream flavor (my favorites are the three that I show here: Mint Galactica, Chocolate Hazelnut Fudge, and Cappuccino). 6. Post about this giveaway on Facebook. To give everyone a fair chance to enter, I will announce the winner Friday evening at 8 p.m. Such a great giveaway! I love the naked almond fudge. I think the only flavor I've tried is the cherry amaretto but it was so good! I love how creamy and rich these ice creams are. I subscribed! I've only tried choc hazelnut, but it was SO GOOD! I adore Dark Chocolate Coconut Bliss! My favorite flavor is the Chocolate Hazelnut Fudge. So delicious! I shared on Facebook, and have tons of vegan friends who can share in our Coconut bliss!!! I subscribe via google and I <3 Coconut Bliss! Ohh I love Coconut Bliss! I like the plain coconut, and cappuccino. by far my favorite is dark chocolate coconut bliss. they all taste good but the agave sweetened comes first. My favorite flavor is Mint Galactica. FANTASTIC stuff!